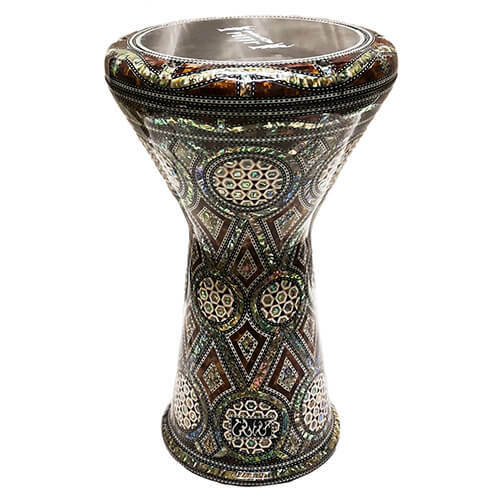 This darbuka is an extremely rare model created by the luxury manufacturer Studio Arabi. This model was conceived from the idea of creating new designs meeting a need of sober chic. 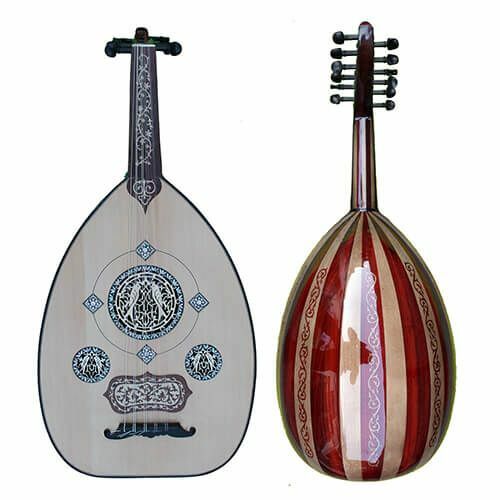 Thus, this derbouka was painted gold color for a sober and modern effect with a beautiful central rosette mother-of-pearl / wood, and pearl chips on the head and the bottom of the darbuka. The result is sublime, it breaks traditional mother-of-pearl derboukas, while being much more elegant and refined than the simple color models. 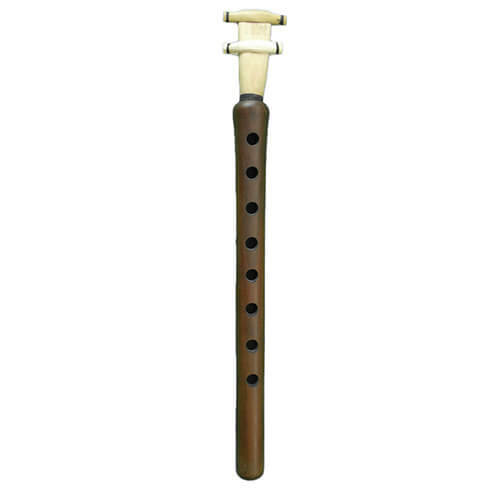 Studio El Arabi manufactures percussions in small quantities, several weeks of work are required for the production of each darbuka. This one comes with an installed Powerbeat skin, a high quality padded cover, a key and 2 replacement Powerbeat skins.